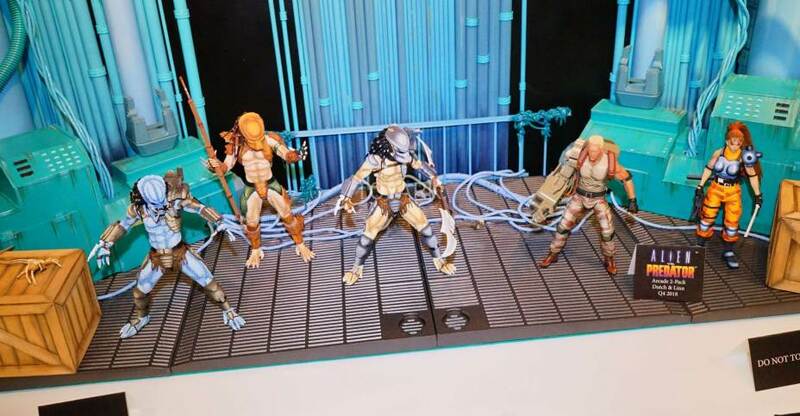 Here is the Aliens and Predator display from NECA at Toy Fair 2017. 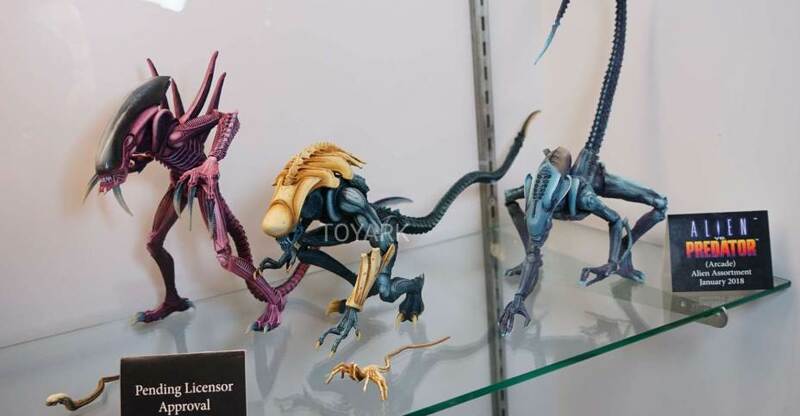 At the event, they revealed a few new items, such as the Broken Tusk Predator, new packaging for the Aliens Arcade Figure, their Alien Joan Lambert figure and more. 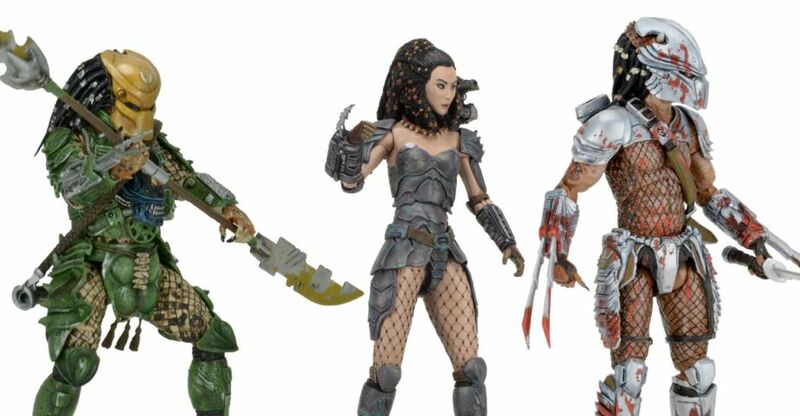 Predator Series 18 won’t hit stores until late this summer. 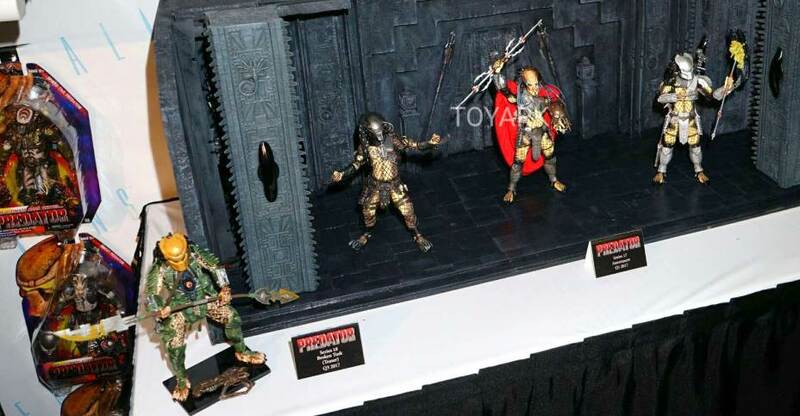 However, NECA is already teasing the first figure that will be in that assortment. 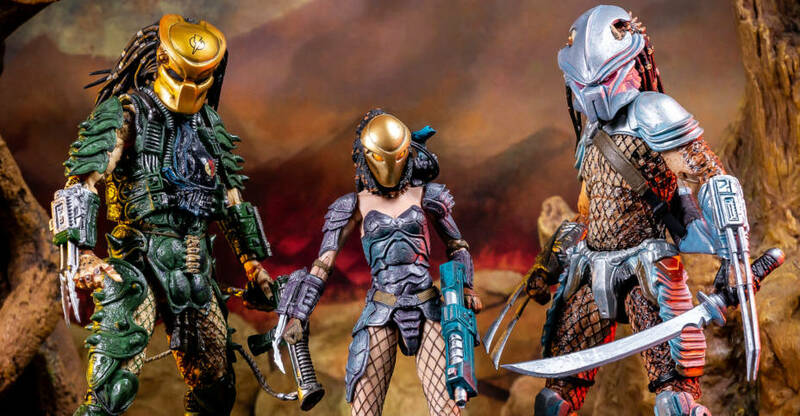 Check out the first preview for Dachande (aka Broken Tusk) from the Dark Horse Comics Aliens vs Predator Series. 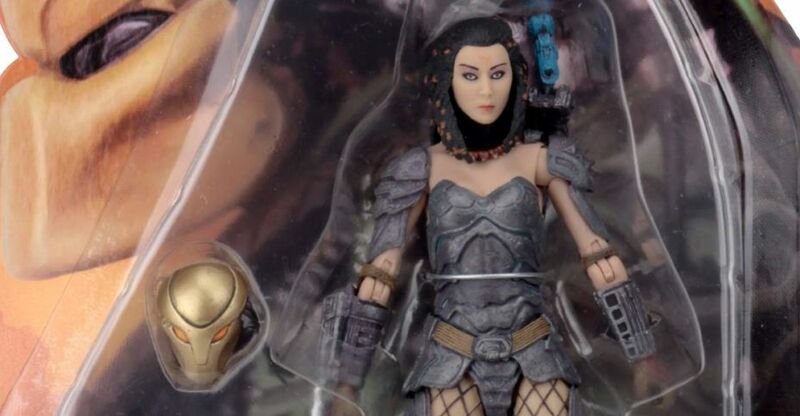 Dachande is perhaps best known for bringing Machiko Noguchi, a human female, into the Yautja clan as he was dying from a fight with an Alien Queen. 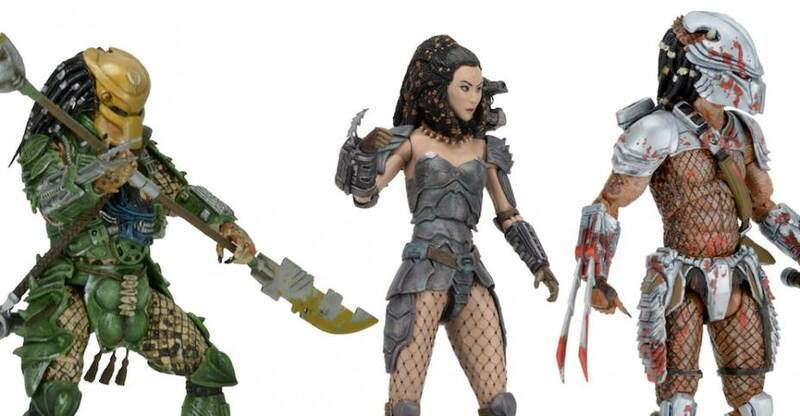 According to NECA, they will be going with “Broken Tusk” as opposed to Dachande. 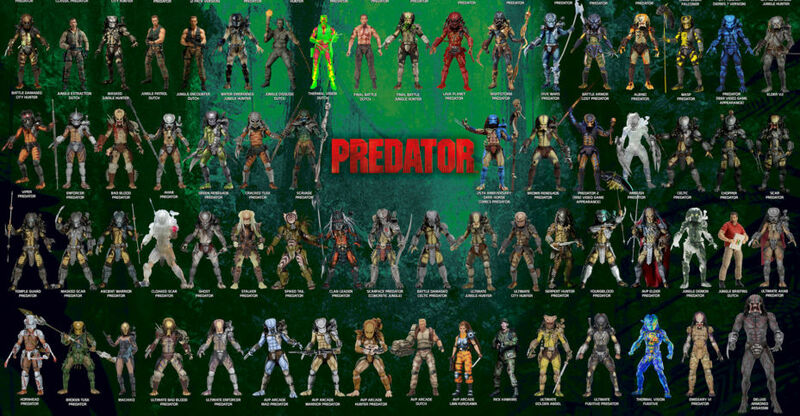 We’ll have more as it becomes available. 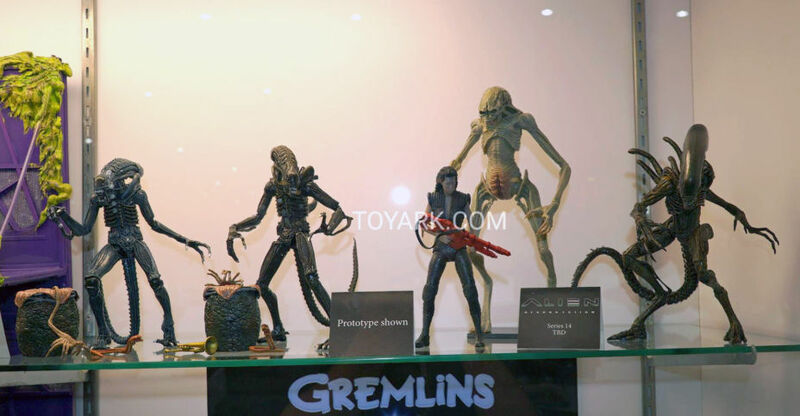 Click the banner image for the full preview.